Great motorcycle drag racing champions seem to leave this world as quickly as they blasted down the quarter-mile. 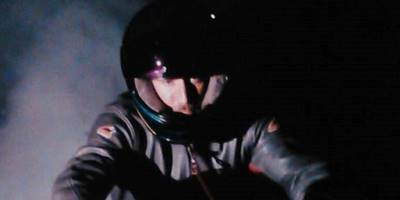 Or maybe that’s just the way it feels due to the unfillable void they leave when they go. Sadly, Funny Bike legend Gary Clark departed this world on July 18th, 2015 after a battle with liver cancer. 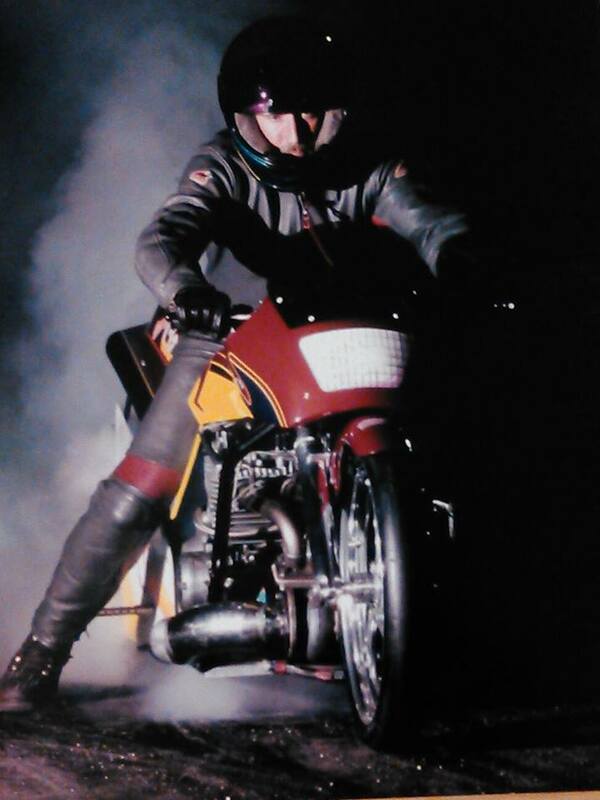 Gary Clark (1959-2015) heating up the giant slick on his awe-inspiring, turbo-charged Funny Bike. When I think of Gary Clark, two things come to mind – 6.45 and hanging the front wheel in the air for the entire length of the racetrack. 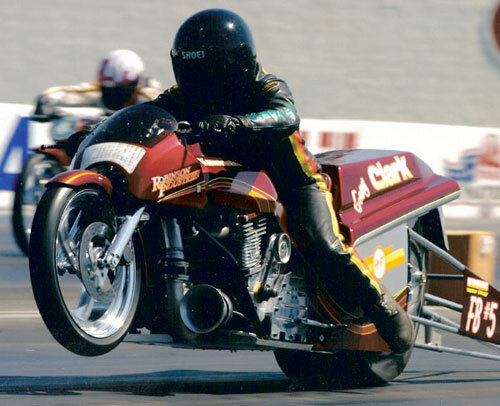 Clark’s 6.45 at Gainesville Raceway, in Gainesville, Fla. in 2000 was one of the most outstanding, remarkable and hard-to-break records in the history of AMA Prostar. The seemingly untouchable number exemplified just how far ahead of his peers Clark really was. It would take over a decade for the front runners of the class to catch up. Along with an being a tremendous innovator and riding talent, whether intentional or not, Clark was a master showman. His powerful, consistent passes in the Funny Bike class were one of the greatest attractions of AMA Prostar. I remember sitting in the giant aluminum grandstands that were once half-track at National Trail Raceway in Columbus, Ohio with my father in the late 90s and being totally in awe of Clark blasting past us with the front wheel in the air. Gary Clark rarely needed his front wheel on a Funny Bike pass. With how quiet his mighty turbo was, we could hear the whistling wind and the giant Goodyear slick gripping the track as he soared by. The shinny, luminous motorcycle was gone in an instant and attention was quickly turned to the scoreboard. Clark was an innovator who took pride in crafting most of the components on his machine. The veteran tuner knew the Kawasaki KZ motors inside and out. He also possessed a fastidious, Dave Schultz-like attention to detail which set his impeccable motorcycles apart. Clark’s race bikes were always impressive, polished and immaculate. He took pride in racing a showpiece. Away from the track, Clark had a laid back, Tom Petty-esque, relaxed demeanor and was beloved and respected by his peers. 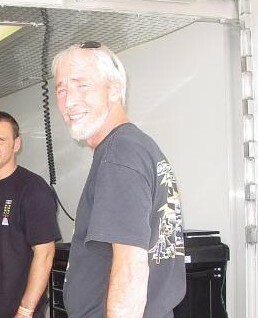 “He was a great guy and a master at what he did,” Top Fuel legend Larry “Spiderman” McBride said. Clark finished his impressive career with four AMA Prostar national championships and 26 event victories. Clark’s indelible legacy on the sport will live on.